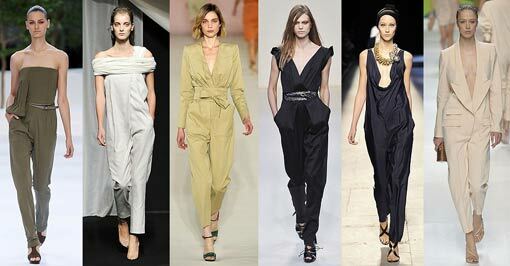 The jump suit is my favourite vintage come back - and the updated short "play suit" is a key piece for the season. Completely versatile in their simplicity; you can dress them up, or dress them down; but this is an item you have to own. For a casual look; pair with flat sandals and a long necklace, for an evening look; add sky-high heels and a waist belt. I even love them for the beach, as a modern bikini cover up, so easy to pull on and off.